When Pom-Bear got in touch telling us about their new animal shaped Zoo Friends range we was excited to find out we was being sent a few packets of 6 to test out! Spud is a fan of Pom-Bear and giving their nutritional values I don't mind him having them. Pom-Bear are very well known for their bear shaped crisp that are sold in a variety of different flavours, to my knowledge, because I too ate Pom-Bear crisp as a child, I don't think they have done any other shaped snacks apart from bear's, that is of course until now! 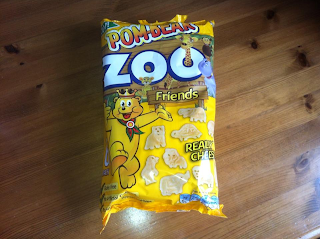 Pom-Bear sent us two multiple packets of six Pom-Bear Zoo Friends 19g bags. 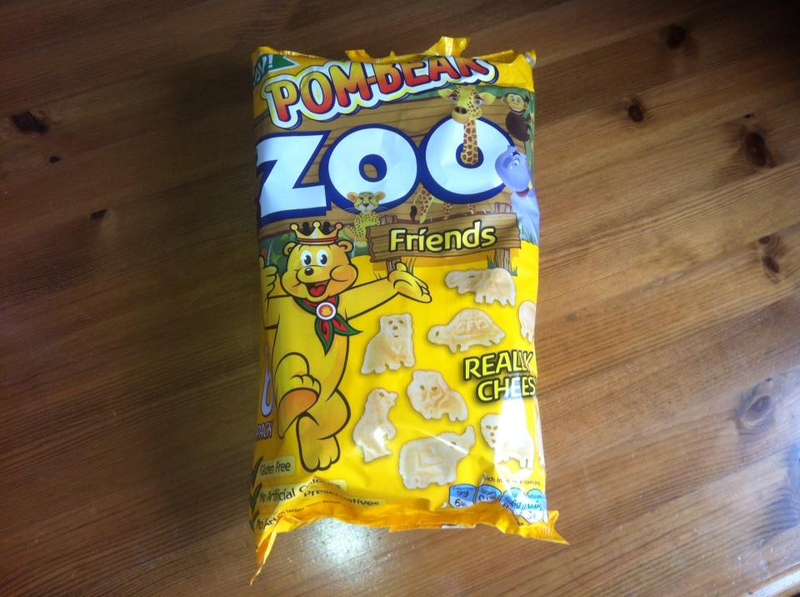 Pom-Bear Zoo Friends are a real cheese flavour. We found the flavour to be just right, not to strong and not too weak, we could taste the cheese flavour, but it wasn't overpowering! Each bag contains up to nine different animal characters so that children can identify the animals and play with the pieces before eating them. Included in the range of animal shapes are penguins, elephants, lions, seals, rhinos, hippos, buffalo's and tortoises. 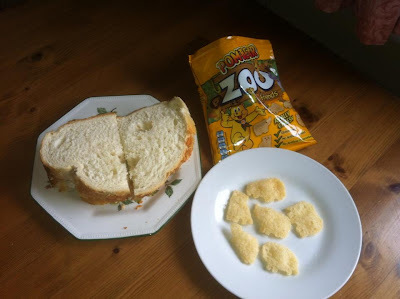 Pom-Bear Zoo is made from potato cooked in sunflower oil to the same recipe as the rest of the Pom-Bear crisp range meaning they are natually lower in saturated fat. 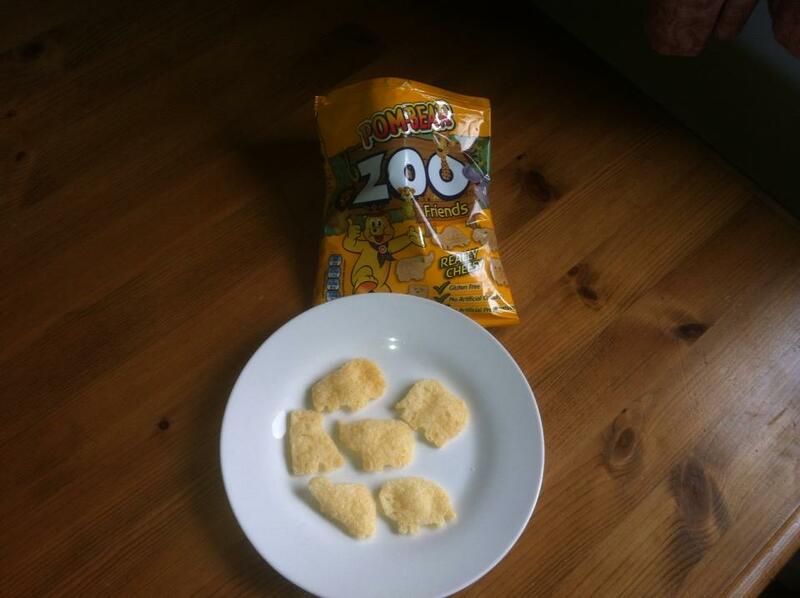 Like the other Pom-Bear varieties, a single 19g packet of Pom-Bear Zoo Friends has less than 100 calories per pack. They are perfect as a snack or to go in a child's lunch box, or if your a Pom-Bear fan like me, they go perfect with a ham sandwich! 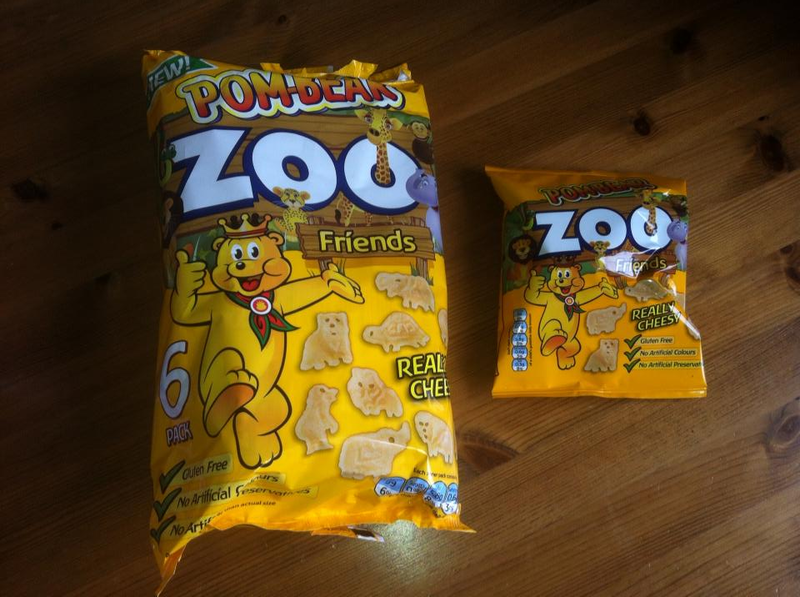 Pom-Bear Zoo Friends are sold in multiple packets of 6 for a suggested RRP of £1.59 from Tesco, Sainsburys and Waitrose. 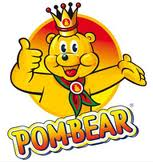 To find out more about Pom-Bear check out the official POM-BEAR site here or find them on Facebook here.